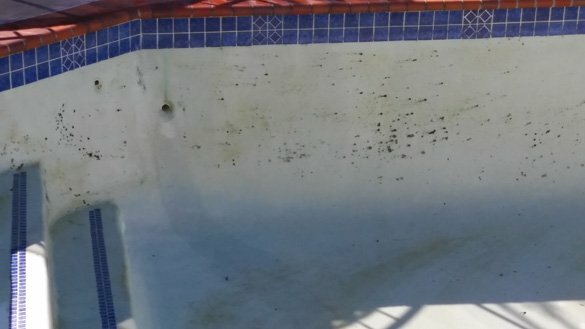 Our office received a phone call from a San Diego homeowner who was having a problem with the swimming pool and spa on the property. 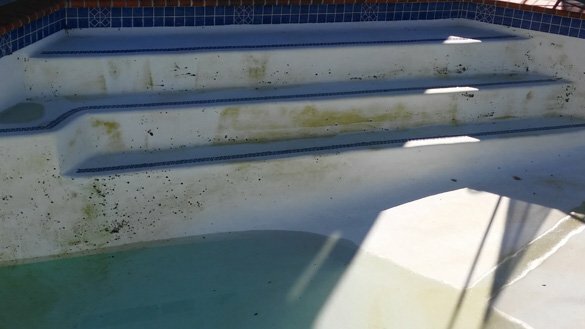 We were informed that both the pool and attached hot tub had what looked like black algae throughout each body of water. 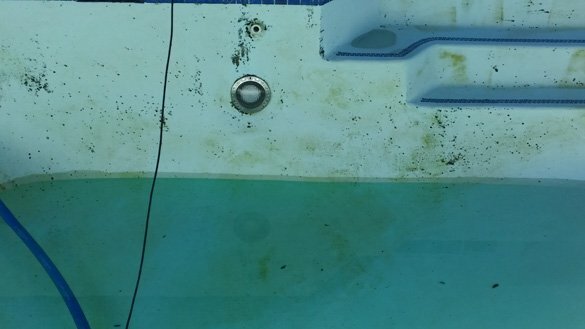 The pool and spa service for the Sabre Springs home was taken care of by the homeowner who did not know how to get rid of the algae. A pool service call was scheduled so we could meet with the homeowner to figure out the best way to treat the algae. Our goal was not only to remove the algae from the pool and spa but also to figure out how to make sure the algae doesn’t come back. Removing Algae From A Sabre Springs Pool And Spa. When we showed up at the Sabre Springs home the first thing we noticed were two chlorine floaters in the pool. Adding more chlorine tablets and brushing was the solution the homeowner tried to get rid of the algae. We explained that this method to eradicate the pool algae actually spread the algae and made the algae problem worse. As we looked at the pool we were able to identify the algae as brown algae and yellow mustard algae. When the water was tested we found the conditioner levels were extremely high and phosphate levels at over 500 ppb. Rather than attempt to treat the algae in the pool with full water we decided to drain and restart the pool with fresh water. The pool and spa had brown algae and mustard algae all over the walls, benches, steps and floors. 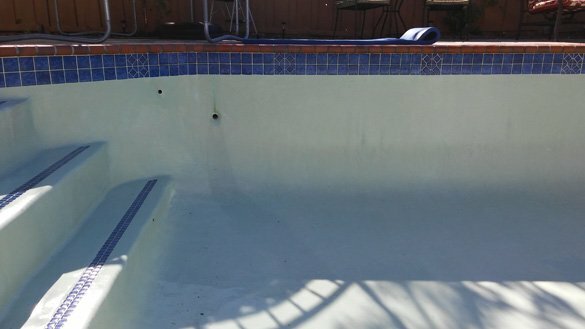 After the San Diego homeowner drained the swimming pool we performed a pool chlorine wash to kill the algae. 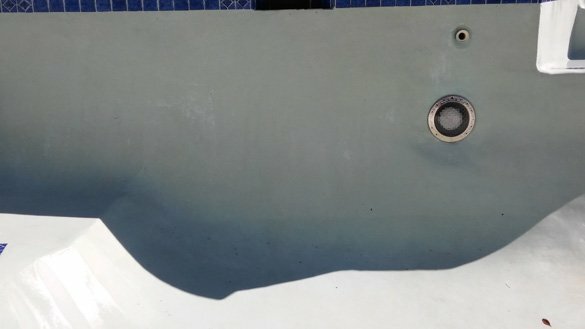 Both the pool and spa surfaces received a chlorine bath, were then brushed and finally rinsed with water so we could make sure the algae was gone. The white plaster looked very good after the chlorine wash was performed. All of the algae was removed and no staining occurred. The pool and spa were refilled with fresh water and balanced with the right chemicals. The pool filter was cleaned to make sure all of the algae was gone. 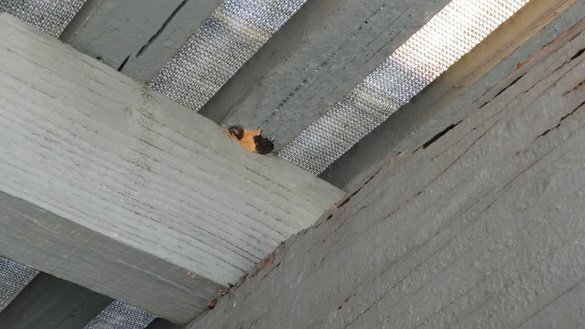 To finish the algae clean up we notified the Sabre Springs customer of the algae we noticed growing on the roof of the porch near the swimming pool. Preventing algae in the pool and spa is important.